Expect an official debut in 2019. 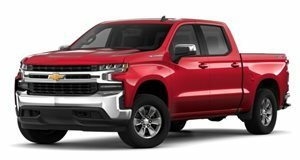 Looking at the image a bit more closely and you’ll notice a grille that resembles the one found on the new Silverado 1500 work truck. It has a premium look to it and we’re liking the headlight design, as much of it as we can make out. And wait, is that a power bulge? No, it’s actually a hood scoop. There’s also the Z71 emblem, indicating this trim package will return. Also notice something else: the lack of a bowtie emblem, with the name ‘Chevrolet’ plastered across the grille. 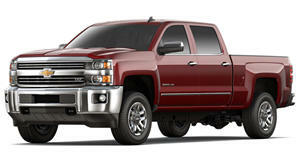 It’s definitely a far more aggressive look than ever before, just like what’s been done with the new Silverado 1500. 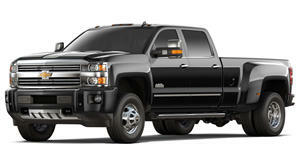 Under the hood remains a mystery, but we highly suspect the return of an upgraded version of the Duramax diesel. Aside from the teaser shot and reveal year, Chevrolet provided no other details. It did point out on-road testing is about to get underway, so don’t be surprised to see some spy shots appear in the very near future. We'll bring you more details once we have them.